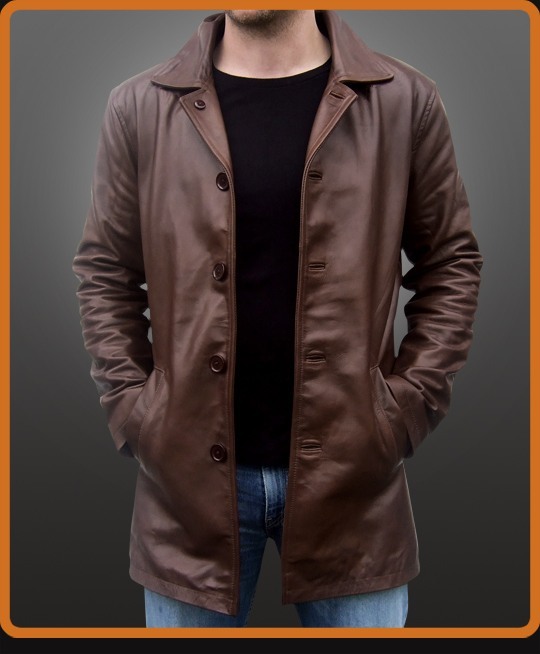 Men's leather jacket replica from the television series Supernatural. Inspired by Dean Winchester character portrayed by Jensen Ackles. Classic leather car coat is loose fitting and thigh length. Notched lapel has button detailing. If you want a jacket that will not succumb to the whims of fashion, you won’t go wrong with the ageless styling of the Winchester. Available in Black or Antique Brown.